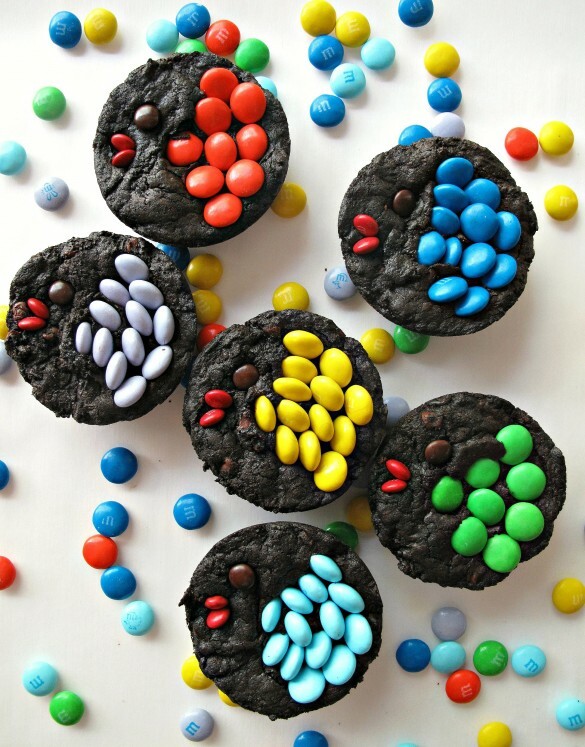 A little imagination may be required to see what are supposed to be M&M fish on top of these Decorated Fudge Brownies. However, blissfully enjoying the rich, fudgy flavor of these brownies takes no effort at all. The fish decorated brownies are for a “Gone Fishing” themed military care package I am sending out this week. Maybe if you knew ahead of time that the brownies were part of the theme, it wouldn’t take quite as much imagination to figure them out. Just in case, for the care package I marked each bag clearly with, “M&M Fish on Fudge Brownies”. It is HOT season in Afghanistan which calls for some care package baking ingenuity. This Decorated Fudge Brownies recipe is the very best way I have found to get chocolate to the desert this time of year. The original desert-safe recipe was developed by Nestle’s especially for deployed military. Nestle’s created a fabulous brownie that can be savored at home, or shipped with less worries about spoilage. Monday Box treats adapted from this recipe (Hugs and Kisses Brownies and Chocolate Mint Truffle Brownie Bites) have received two thumbs up from local and distant taste testers. That doesn’t surprise me. This recipe creates chewy, fudge-like brownies that are hard to resist. Amazingly, Decorated Fudge Brownies stay fresh and chewy for up to 2 weeks. Decorating is the biggest baking dilemma from the heat this time of year. Whether shipping to the next state or across the world, temperature has to be considered. Both frosting and drizzled chocolate do not ship well in warm weather. Decorating sugar and sprinkles aren’t as prone to melting if you can get them to stay on the baked items without using frosting or a glaze. 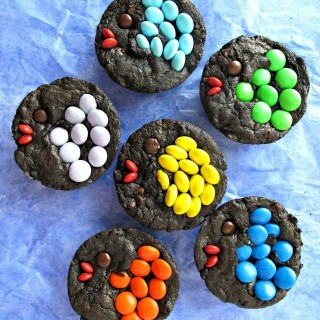 For these Decorated Fudge Brownies, I tried using M&M’s which were invented to “melt in your mouth, not in your hand”. Hopefully, Soldier B. will let me know that the M&M’s are desert worthy, as advertised. Did you know that M&M’s were developed in 1941 and were originally not available to civilians? Cardboard tubes of M&M’s were distributed exclusively as part of American army rations during World War II. The candy coating kept the chocolate from melting during transport. 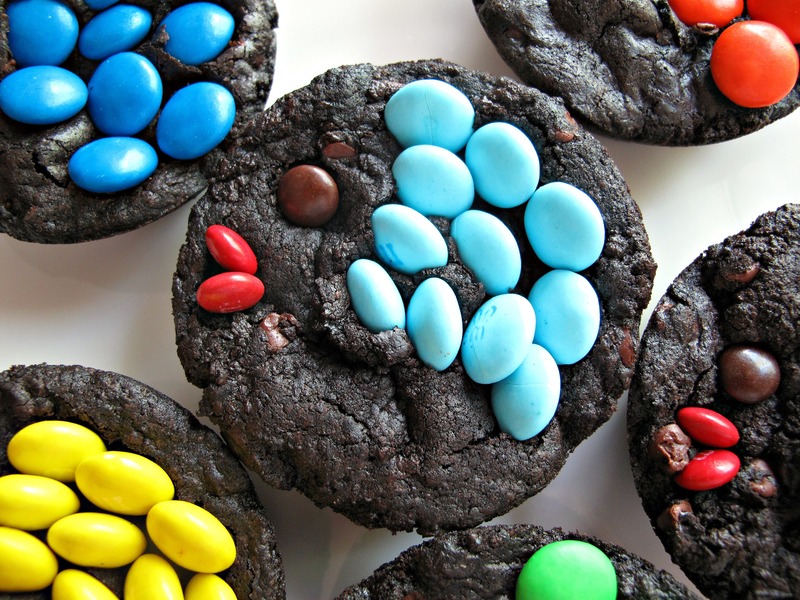 The challenge, when baking with M&M’s, is to keep the candy coating from cracking, which would allow melted chocolate to leak out. I tried numerous anti-cracking tactics with equally numerous failures. Any time at all in the oven is going to cause cracks. Even if the M&M’s are frozen, they will either crack in the oven or crack when they come out of the oven. The only solution I found, that works most of the time, is pressing the M&M’s onto the top of the brownies IMMEDIATELY after baking. 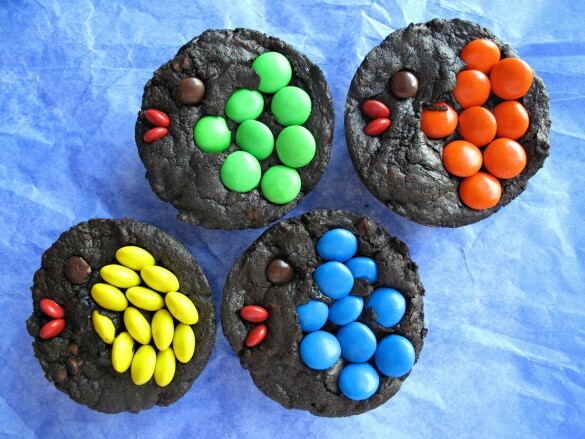 If the brownies are allowed to cool before decorating, the M&M’s won’t stick. I highly recommend baking only 6 brownies at a time, unless you have decorating helpers. I baked 12 and had trouble with the final 6. At first, I could gently press the M&M’s onto the surface and the heat of the brownie would melt the candy coating just enough for the M&M’s to stick. By the final 6, I had to gently press the M&M edge into the brownie. Two different looks. Let’s pretend I created the two looks on purpose to offer you variety and choice. Even with care and gentle application, some of the M&M’s may crack or smush. The chocolate inside does get soft from the heat of the brownie, making it more likely that as you carefully press down on the shell, it will crack. If you are eating these at home, that’s not a problem. If you are shipping these, this recipe offers room for error. Out of the 18 brownies, at least 12 will likely be crack free. 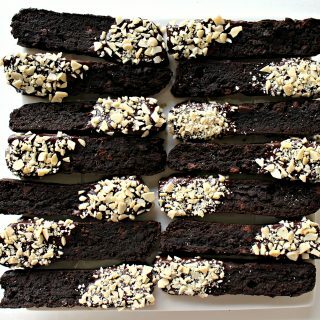 That gives you a dozen “perfect” Decorated Fudge Brownies to ship, and 6 slightly less perfect, yet equally delicious, Decorated Fudge Brownies to indulge your sweet tooth. Scoop ¼ cups of batter into the prepared pan (it will be thick), use your fingers to even out the batter into the entire pan and smooth the surface. Bake for 11-13 minutes. The toothpick test doesn’t work. If the top is firm, take it out. (Mine baked for 12 minutes). Decorate with m&m’s immediately after removing from the oven. 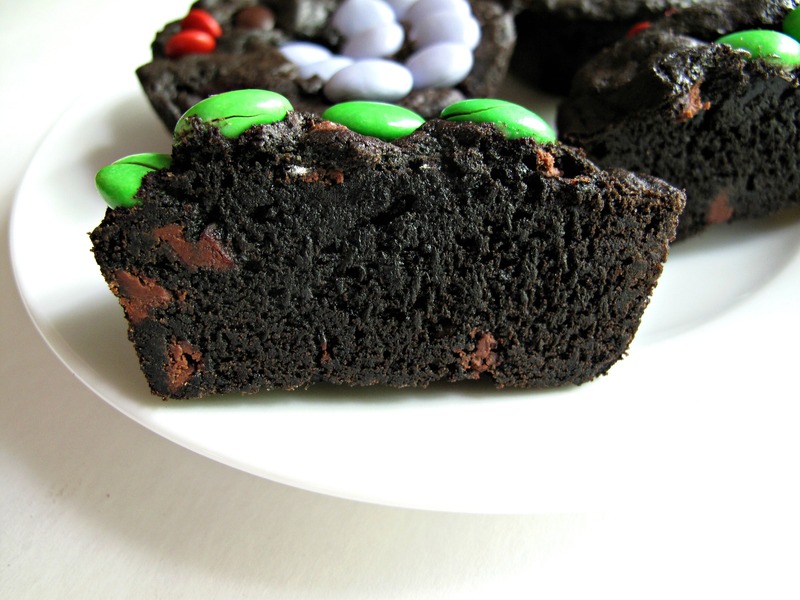 Press the m&m’s gently into the brownie. Try to avoid cracking the shell. As the brownies cool, the m&m’s will not stick to the surface and may need to be pushed edge down into the brownie. Allow the brownies to cool completely in the pan. To remove from the pan, slide a sharp knife gently around the edge of the brownie, then lift out. Store brownies at room temperature in an airtight container or zip lock bag for up to 2 weeks. Double wrap each brownie in plastic wrap. Place columns of wrapped brownies into a gallon sized, freezer weight ziplock bag. What a fun theme Wendy and a super delicious looking treat. I think the fish are very easy to see and so cheerful! Another great idea for sending chocolate over when it gets hot, any chance you will be showing what else you sent in your gone fishing package for your soldier? These are so wonderful! 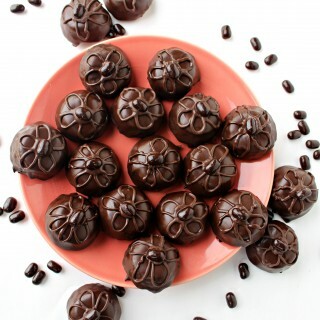 That rich dark chocolate looks amazing. I see the fish – they are adorable. Have a great week! Thanks, Tricia! Sometimes, you have to compromise a little on something when using desert safe ingredients…texture or flavor or something, but not on these brownies. 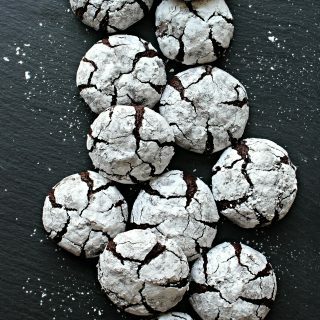 They really are deeply chocolate, chewy, and delicious. 🙂 Wishing a great start to June! Wendy, these are adorable and I definitely see the fish! 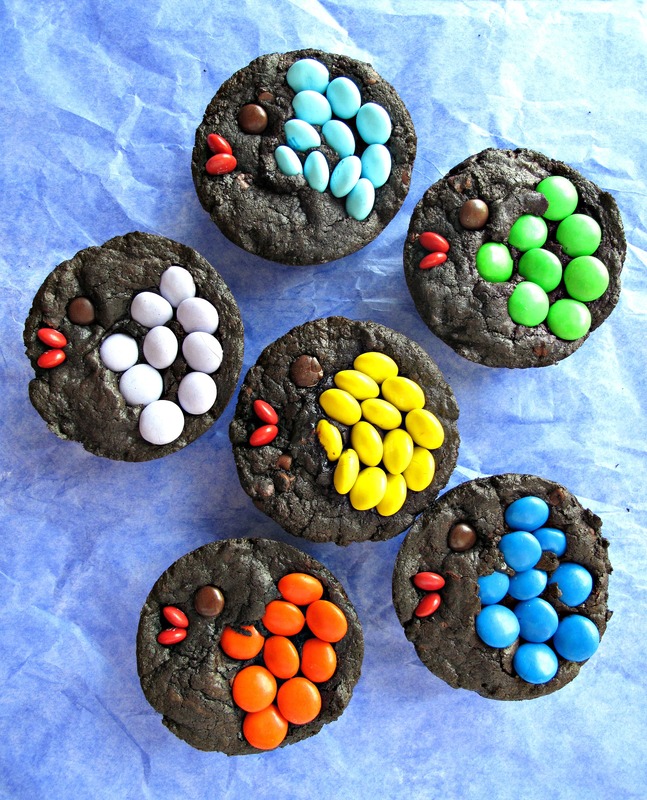 My boys would love these–they’d love to help me make them too! Also, I’ve said this before, but I think it’s so wonderful that you send out cookies and care packages to our troops. Great job! I don’t need my imagination – I see the fish perfectly! They are just adorable…and totally delicious. As much as I love “fancy” chocolates, M&Ms just have a special place in my heart and everyone loves them! Love these theme packages, Wendy. Ha! These are adorable!! I love the fish! And the brownies sound absolutely delicious too! It takes a lot of dedication to solve the M & M cracking issue! I actually like the cracks, but I get that it’s prettier without them. The fish are really cute! And your care packages are really one of a kind. I’m sure they’re a breath of fresh air in that crazy hot weather! What an awesome treat for the troops! I love that you are sending things over. I am sure Soldier B will love them! 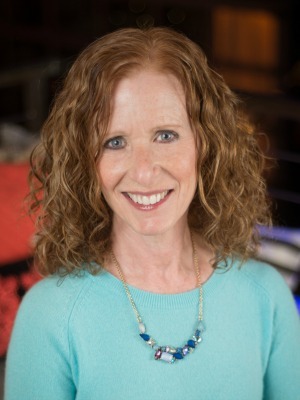 WOW – thanks for all of the information in this post! 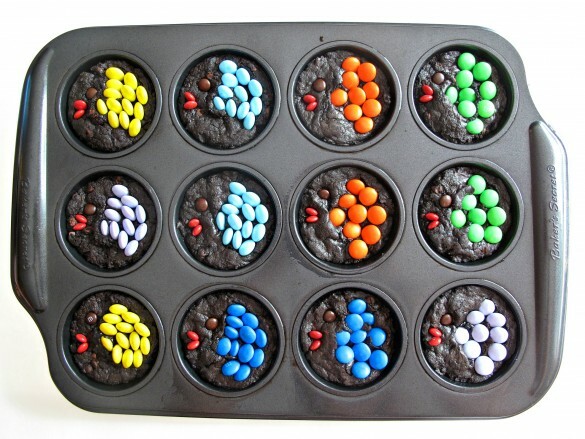 I had always thought I was doing things wrong when my M&Ms split, maybe I’ll just tuck them in after baking from now on. And it’s so cool seeing how you took two separate products designed for military use and incorporated them into such a sweet care package. I grew up eating military-issued ration packs when we’d go camping, and these are definitely a step up! These are so cute! But to be honest I’m really thinking – yes! M&Ms AND brownies…life is good! lol! These look delicious! I love that you’ve found a way to ship the brownies so that they are in great shape when they arrive. I’m sure the recipient will love them! These are too cute! I was just telling a friend of mine I was having a chocolate craving. 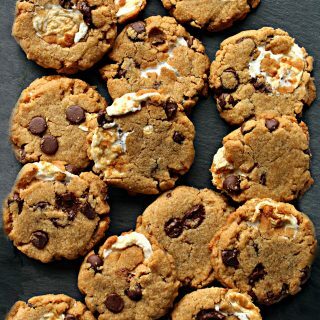 I think these would be the perfect thing to satisfy my sweet tooth. Thanks for sharing! 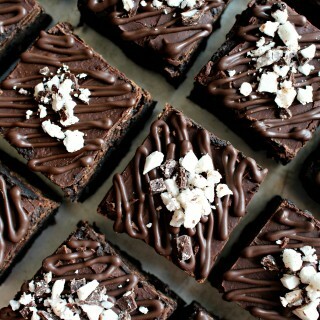 Those brownies look amazing inside! The perfect texture! Ya just can’t go wrong with brownies and M&Ms! Those are super cute desserts. Great idea for a kid’s party. okay so first of all, i had no idea the history of M&M’s: surprising, considering my penchant for googling everything i love (and i LOVE M&M’s.) Secondly, your decorations make me SO happy because they’re adorable, and always so well done. Love these, wendy. those brownies…that photo of the one cut in half so you can see how amazing the texture is? YUM. Thanks, Shannon! I didn’t know the history of M&M’s either until very recently! As soon as I learned about the origins I began planning how to use them in a military care package! I’ve used this brownie recipe before with different shapes and flavorings. 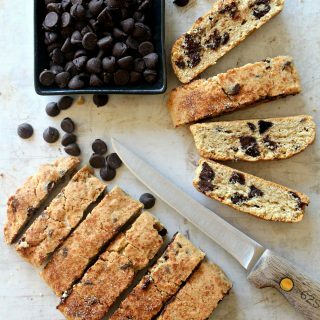 I love how it stays chewy and fudgy for such a long time!